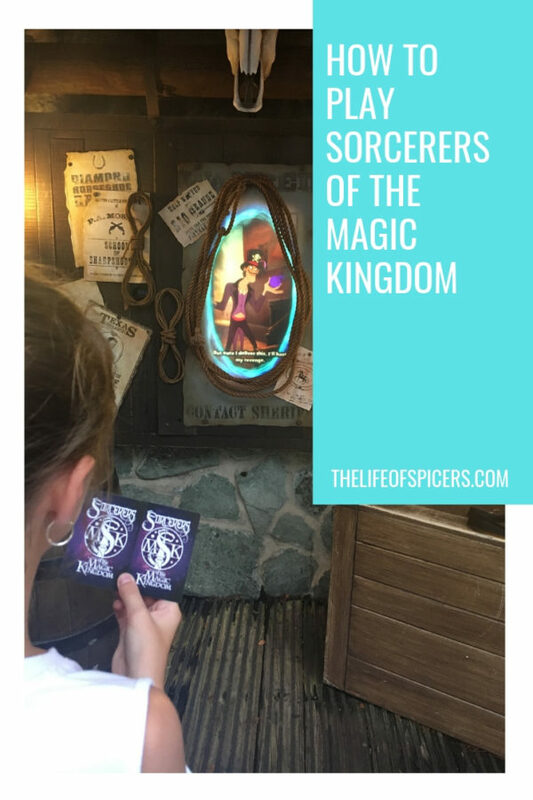 Even after two trips to Walt Disney World, for some reason we had never played Sorcerers of the Magic Kingdom, the Magic Kingdom card game, so during our 2017 trip, we decided we were going to make time to play when visiting Magic Kingdom. Sorcerers of the Magic Kingdom is a card based scavenger hunt style game set in the Magic Kingdom Park. There are 9 different quests to play led by Merlin the Magician as he aims to stop Hades, the Greek God of the Underworld. With plenty of Sorcerers of the Magic Kingdom villains to combat along the way, stop Hades from taking over the Magic Kingdom. You will find game portals all over Magic Kingdom Park except in Tomorrowland, so this can be a great way to explore the park. Who is Sorcerers of the Magic Kingdom suitable for? 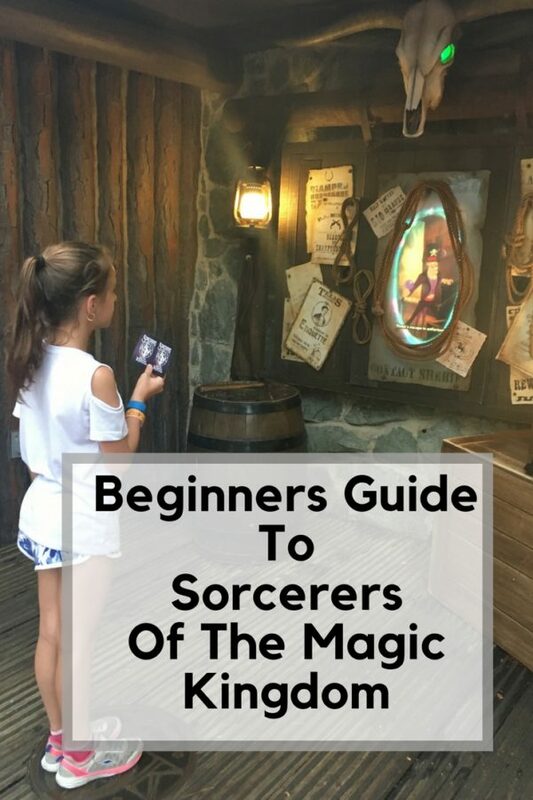 The Sorcerers of the Magic Kingdom game is suitable for all ages. It can be a welcome break from rushing around the park for the young and the old. I was looking forward to playing as much as Abby was, and we both played together with one map. To begin your quest you must visit the Fire station at the front of Magic Kingdom. You can’t miss it, as there is a large banner outside. 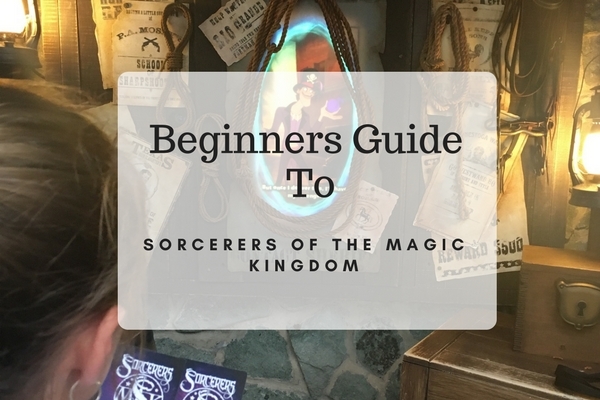 Once inside let the cast member know you would like to play and they will talk you through the Sorcerers of the Magic Kingdom maps, give you your first set of Sorcerers of the Magic Kingdom spell cards, and you will be shown the first portal to begin your quest. 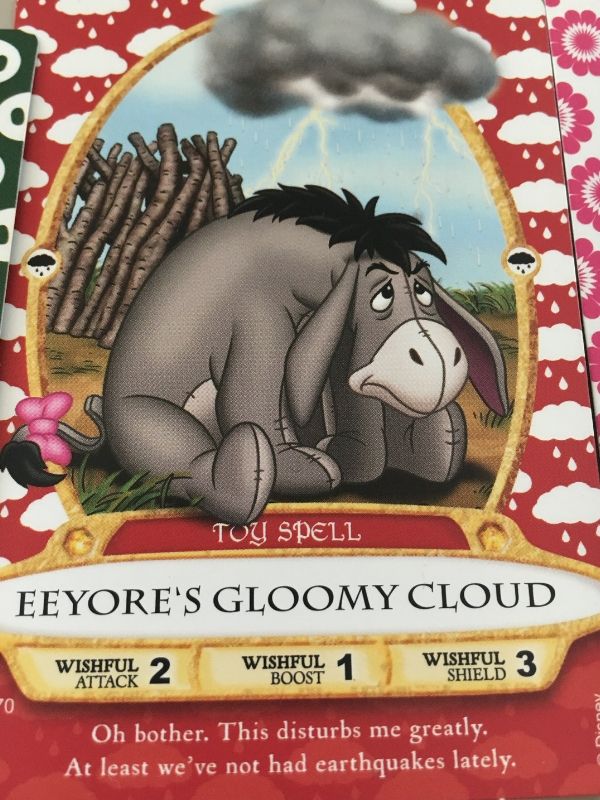 The queues are often quite short to collect your spell cards which is great if you’re looking to collect a new pack quickly on your way into the park. The only time we spotted the queues to be longer was during a Mickey’s Not So Scary Halloween party, but this will be down to collecting the limited edition party spell card that you can only collect if attending Mickey’s Not So Scary Halloween party. Once you have met Merlin inside the fire station and listened to his tale, he will tell you which portal to visit next. It’s important to listen at this point, otherwise you may visit the wrong portal. The portals are easily spotted with discs on the ground and a magic key which is activated with your magic band. The map has different symbols on them helping you identify which portal you need to visit next. If you visit the wrong portal and try to activate it, the screen will let you know it’s the wrong one and show you the correct symbol you’re looking for. Each villain will take around 4-5 portals to defeat, so you can make your game experience as long or as short as you want to during the day. You can also pick up your current game on your next visit if you like as all progress is saved via your portal card. 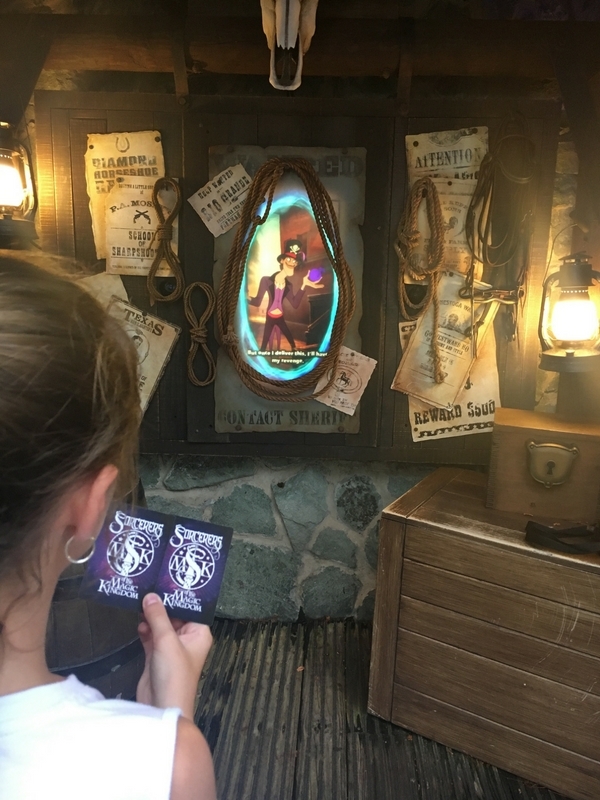 There are 20 different portals across the Magic Kingdom, and your job is to find them all and unlock them to defeat the Disney villains with your playing cards. Each card acts as a spell to defeat the villains you have unlocked. There are 70 different Sorcerers of the Magic Kingdom cards to collect plus special even cards that can be collected when attending special events. You can collect a set of cards each time you visit Magic Kingdom which is great to grow your collection. We started off in the fire station near the beginning of Main Street, and were sent to Liberty Square. We don’t often stop very long in Liberty Square as but we realised there is a lot to look at as we were wandering through looking for our portal. The first thing we did wrong was to assume that there was only one portal in Liberty Square as we hadn’t read the map properly! Ooops! Once we worked that out we were on our way. Each mission lasts for about ten minutes or so spread over approximately five portals. We spent a while before Mickeys Not So Scary Halloween party started playing and will definitely play more quests next time we visit. You may like to check out the other interactive games you can play at Disney World.